NEW! Restaurant Feature Promotion! 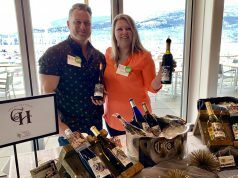 - Gonzo Okanagan Online News, Music, Technology, Sports, Film, Arts & Entertainment, Culture, Wine & Dine... Life! 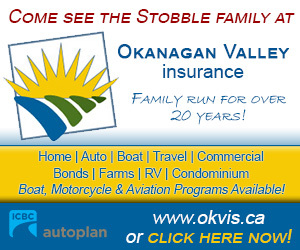 Home Gonzo Okanagan Promotions NEW! Restaurant Feature Promotion! NEW! Restaurant Feature Promotion is now be available! 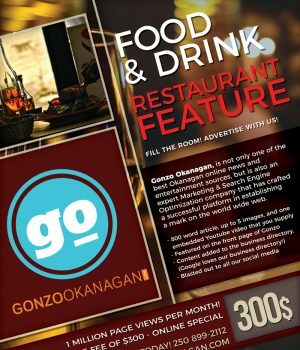 Check it out and contact us at contact@gonzookanagan.com or 250-899-2112 to book your restaurant in on this fantastic offer! 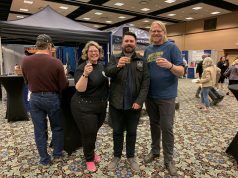 https://GonzoOkanagan.com – Gonzo Okanagan Online News, Music, Technology, Sports, Film, Arts & Entertainment, Culture, Wine & Dine… Life! Previous articleRestaurant Feature writer needed!